The second season of summer music concerts from Center Stage Strings starts in Three Rivers this week. The music camp came to Three Rivers last year for the first time, and has expanded to a two week session running from June 12-26 this year. 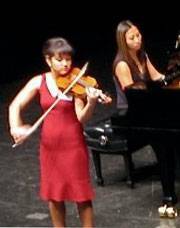 Recital showcasing solos by Center Stage Strings Director, Faculty, and Award Winning Violinist Danielle Belen. Also new to our faculty this year, Sarah Sutton and David Requiro perform master works and showpieces for the viola and cello. Tickets are $12 at the door or in advance at Chump’s Videos. 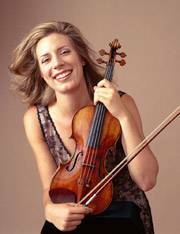 Internationally acclaimed violin virtuoso Elizabeth Pitcairn performs in partnership with one of the world’s most legendary instruments, the Red Mendelssohn Stradivarius of 1720, said to have inspired the Academy award-winning film “The Red Violin”. 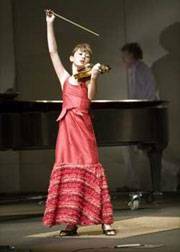 Featuring Violinists, Violists and Cellists, ages 8 to 19 years old, selected nationwide by audition to attend the camp. 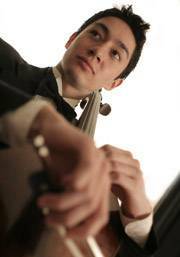 They will perform works by a variety of composers, both as soloists and also together in chamber music. CSS is honored to welcome to our faculty, 1st Prize winner 2008 Naumburg International Violoncello Competition, cellist extraordinaire David Requiro. Mr. Requiro brings cello pieces from around the world to Three Rivers! 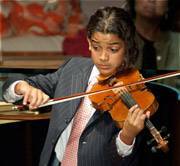 A showcase of Center Stage Strings students on the brink of major performance careers. Come and see what these hard working young musicians have been up to! Performances by student soloists and chamber ensembles. Come and see what these hard working young musicians have been up to in this final concert of the 2011 Center Stage Strings Music Camp! June 17 with Elizabeth Pitcairn and June 22 with David Requiro. Join the students for two master class sessions at 11 am. Admission is free. 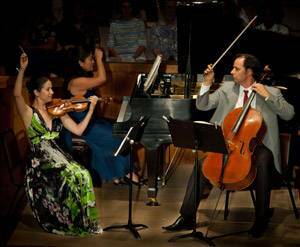 This entry was posted in Center Stage Strings and tagged Center State Strings, Danielle Belen, David Requiro, Diego Miralles, Elizabeth Pitcairn, Jennie Jung on June 11, 2011 by Elsah. This entry was posted in Center Stage Strings, Concert on the Grass and tagged Center Stage Strings, Concert on the Grass, Three Rivers on September 22, 2010 by Elsah. Violin Summer Camp coming to Three Rivers this June. 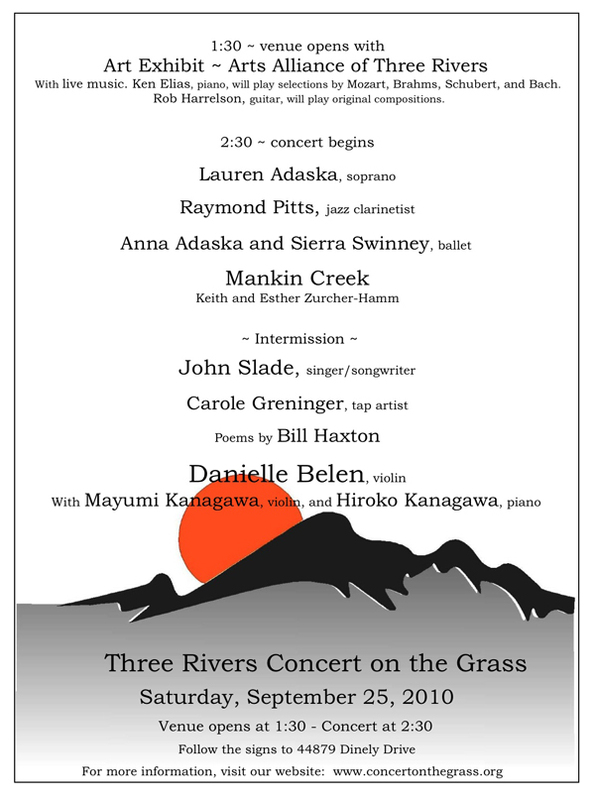 Center Stage Strings announces their upcoming Inaugural Season held in Three Rivers from June 14-20, 2010. 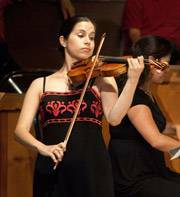 Center Stage Strings was founded by prize-winning violinist and passionate teacher Danielle Belen to develop the talents of young classical music students in the areas of solo and chamber music performance. Set in Three Rivers, California, at the foot of the Sequoias, the natural beauty of the surroundings and the music intertwine to create a unique summer experience. Throughout the week, students will receive daily private lessons, participate in Master Classes, attend Guest Artist Recitals open to the public, all culminating in a student concert on the final day of camp. The Three Rivers community is very important to Center Stage Strings as many families have generously opened their homes to our students to stay during the week. The young musicians chosen to participate in the camp will have a unique opportunity to focus purely on developing their talents without the distractions of normal, everyday life. 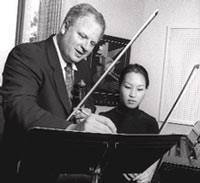 An intense practice and lesson schedule is balanced with chamber music, socializing and recreational activities. Swimming, hiking, table tennis and movie night are just a few of the many fun activities available to the students. Registration details here. 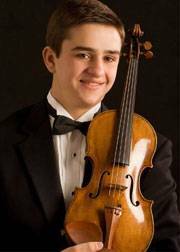 In addition to the Center Stage Strings camp, students and the town of Three Rivers will enjoy Guest Artist Recitals, Faculty concerts and Master Classes presented by world class artists and teachers. All concerts will be held at the Three Rivers Community Presbyterian Church. See the full recital schedule for details. This entry was posted in Center Stage Strings on April 29, 2010 by Elsah.